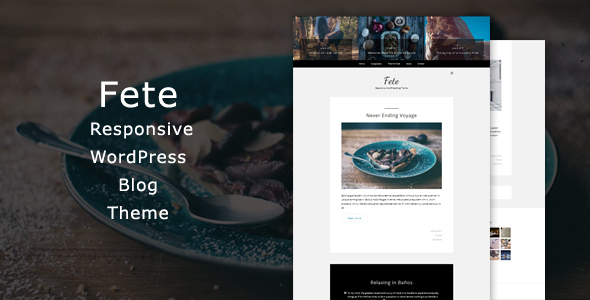 Fete is a beautiful, clean and minimalistic WordPress Blog Theme. It is perfect for bloggers/ writers who want to have modern and classic blog. Installing and customizing is very easy. 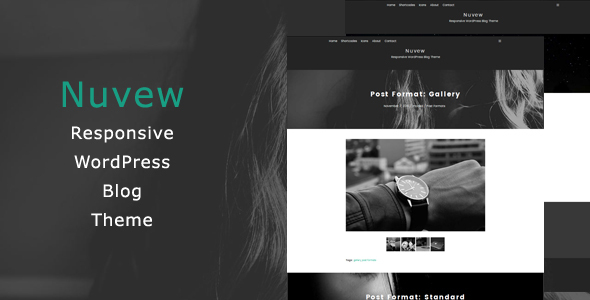 Fete theme is based on Bootstrap framework. 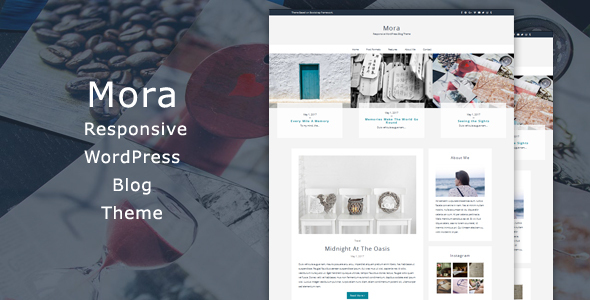 Mora is a beautiful Responsive WordPress Blog Theme. 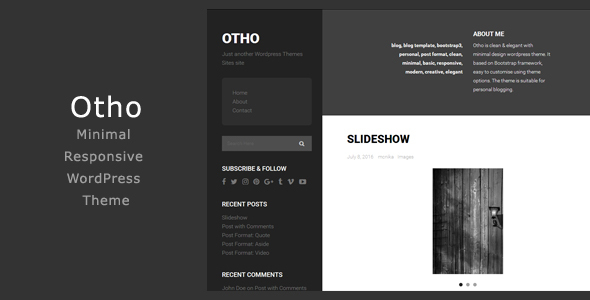 It is modern, clean and simple theme, perfect for bloggers. Installing and customizing is very easy. Mora theme is based on Bootstrap framework. 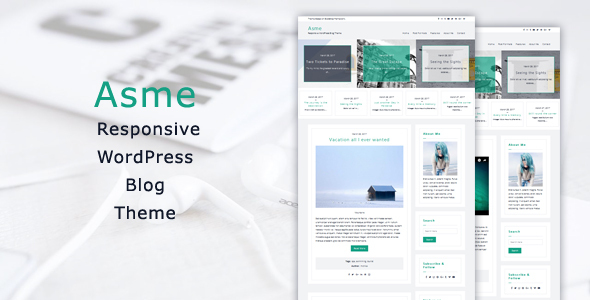 Asme is a beautiful and elegant Responsive WordPress Blog Theme. Design is clean and very light. 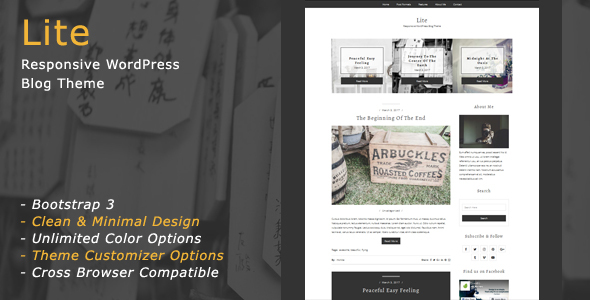 Asme is easy customizing with theme options. It also has color options allow you manage color settings. 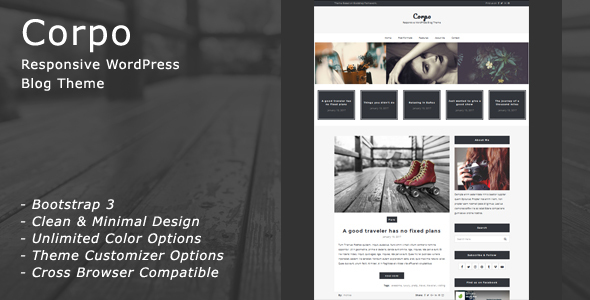 Asme theme is based on Bootstrap framework.